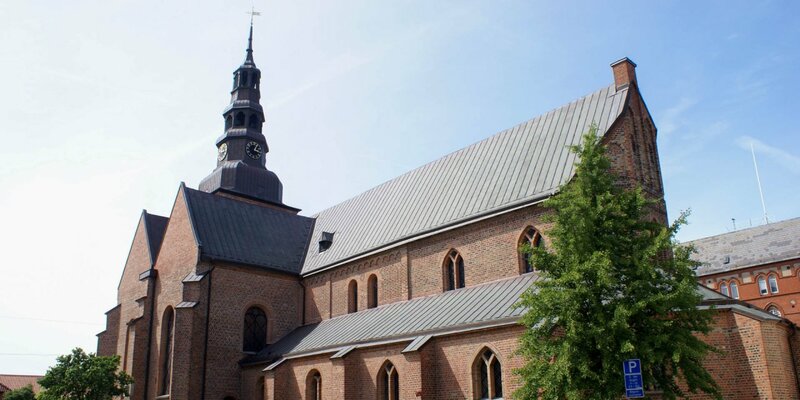 Bjäresjö Kyrka is a church dating back to the early 12th century and particularly famous for its medieval wall and ceiling paintings. 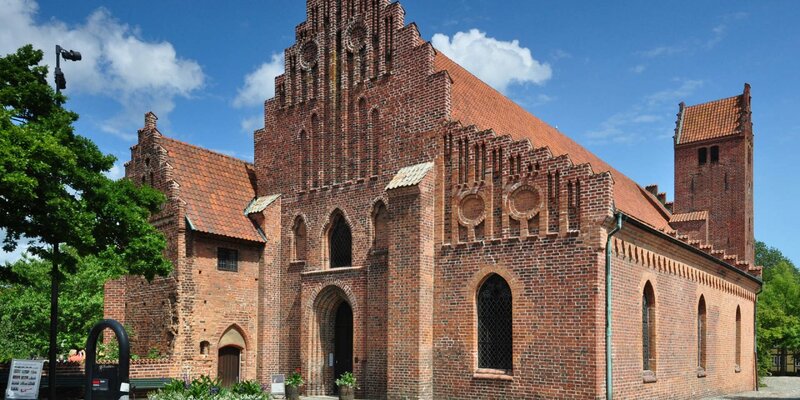 It is located in the middle of the small village Bjäresjö, about 7 km northwest of Ystad. The largest part of the nave, as well as the lowered chancel with a small semicircular apse, were built around 1100 and represent the oldest parts of the church. Around 1760, the two short transepts were built. In 1892, the nave was extended a few meters westward , and the original church tower was demolished and replaced by the present tower in Romanesque Revival style. The church is well-known for the paintings from around 1120, which completely cover the walls and the vaulted ceiling of choir and apse. Unfortunately, this work of early medieval church painting was not professionally restored during a renovation in the 19th century and some of the original detail has been lost forever. During a restoration of the church around 1940, further paintings were found in the old part of the nave. They date back to the early 14th century and include, among other things, the coronation of St. Mary to the Heavenly Queen. Almost as old as the paintings in the choir is the stone font. 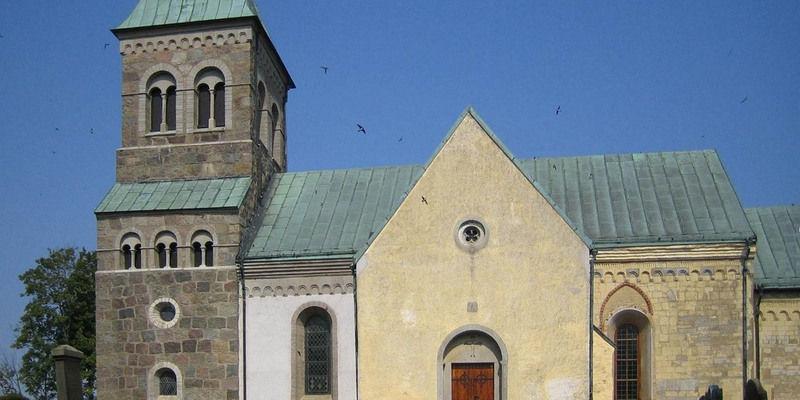 It was created around 1180 by a stonemason named Tove and is decorated with scenes from the life of Jesus. The pulpit was created in the Middle Ages and is relatively large – almost like a small gallery. It is decorated with artful wood carvings and carries a total of eight picture panels with motifs from the old and new testament. The church benches come from different eras, one of the benches bearing the year 1562 and is one of the oldest church benches in Skåne. 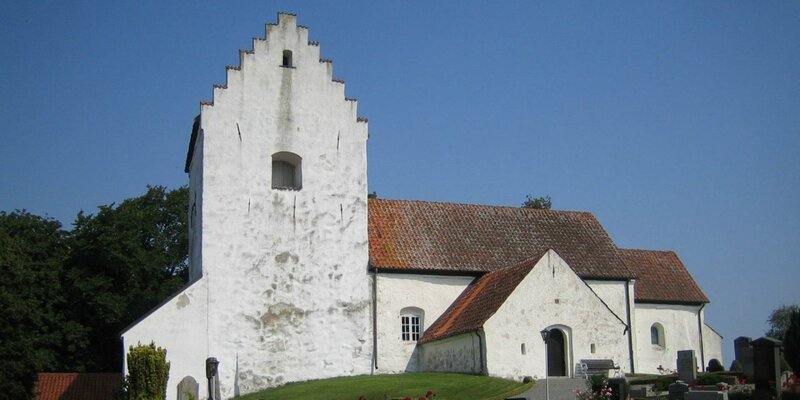 It is believed that the construction of the church was financed by a wealthy nobleman, especially since they found old foundations near the church who are most likely the remains of the early medieval manor Berghusagård. Berghusagård is documented for the first time in 1344, and a document from 1350 proves that the owner bought an island in the now drained lake Bjärsjön. The estate was run under the name Berghusaholm, the forerunner of today's Bjärsholm Castle.